Open roads, fresh country air and a lingering thirst for great wine. It is easy to understand why l'oenotourisme, or wine tourism, is one of the fastest growing sectors in travel business. Our top ten this month pits Old World wine destinations against some promising up-and-coming routes that will surprise you. Before we get stuck in, please remember that drinking and driving is a criminal offense - don't forget to pack a designated driver on this trip. While the greater Tamar Valley area has been a case study for global warming, Tamar Valley wines have been blossoming in the warmer climate. The slight increase in temperatures have meant that grapes are more likely to reach full maturation before picking begins. 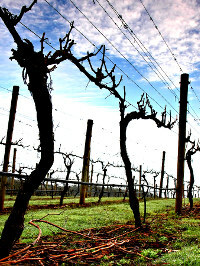 As a result, Tasmanian wine yields have grown from 154 tonnes in 1986 to 5045 tonnes in 2009. The 170km Tamar Valley wine route offers a leisurely walking route along the Tamar River. With 32 boutique wineries, your taste buds are in for an exclusive experience. The area mostly produces sparkling wines, but Tamar Valley wines have been winning accolades in a variety of wine categories. Recently the Bay of Fires Pinot Noir 2009 received a gold medal at the International Wine Challenge. The lesser known cousin of the famous Stellenbosch wine routes - Elgin Valley is a fledgling wine producing region. Situated an hours drive away from Cape Town (TripAdvisor's destination of the year) it makes a great weekend getaway for those visiting the famous South African Mother City. The area has a unique micro-climate that makes it unlike any other South African wine region. Located between sea and mountain, its cool climate makes for a longer harvest. The wines produced here are subtle, complex and refreshingly light. Visit each of the 18 wineries and sample their offerings. 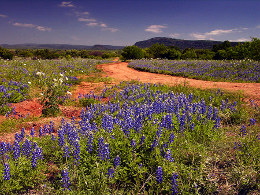 Everything is bigger in Texas and their wine trail is no different. With 27 wineries and the second largest American viticultural area (after Napa Valley) there is enough wine to flood the state. The area's German heritage gives it an infusion of the Old World, but the local wineries are not limited to German varietals. You will find Chardonnay, Pinot Noir and Bordeaux-style wine in the area. Such is the quality of the local Chardonnays that they are a regular presence at White House dinners. You can take the French out of France, but you can't take away their love of wine. The French Canadian region of Quebec is home to a bevy of fantastic wine farms that are beautiful and highly productive. The 130km route has four sub-routes, which cater to all pallets. Arty types can do the wine and art route, featuring galleries and museum visits, while adventurers can take to water in kayaks or take a sedate cruise on Lake Champlain. Gastronomes will enjoy finding good food to match good wine on the cuisine tour and those of us who enjoy the nitty gritty of food production will enjoy the farm tour. See and experience jam, cheese, blueberries, honeys, syrups and many other food products being made before your eyes. Often called the wine and dinosaurs route this stretch is accompanied by a pre-historic side-tour. Southern Argentina is littered with archaeological fields, and boasts the largest carnivorous dinosaur fossil in the world - of a Giganotosaurus Carolinii (yes, bigger than a T-Rex). The wines may not be as old but they are certainly as impressive. They have a maturity that belies the regions age - just over a decade in operation. Many of the wineries have adopted the modern viticultural techniques that have seen an increase in quality yields. The most recognisable name is "Bodega del Fin del Mundo" (or End of the World Wineries). They were the first winery established in the region as recently as 1999 and they offer free tours of their facilities and tastings of a legend in the making. Fun Fact: In 2010 Argentina declared wine the national drink. 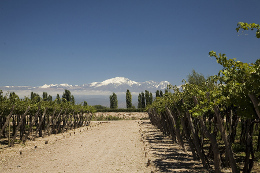 Wine has been the favoured drink for Argentinians since 1557. 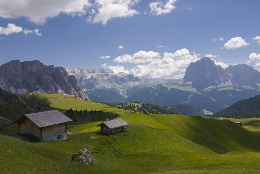 South Tyrol is a melting pot of wine culture. Situated in Northern Italy, traces of German, Swiss and Austrian wine making tradition have bled into the methods used at local vineyards. These influences come together to make a wine of familiar quality, but with a distinctive taste that has only one home. Nowhere else in Italy can you find Schiava (a light red) or the native Lagrein (a slightly acidic red wine grape). The mountainous route takes you through 15 idyllic alpine towns, one of which is the lakeside town of Kaltern. You may think you've been magically transported to Germany: the inhabitants speak German and the architecture is reminiscent of a Bavarian hamlet. For spectacular views take a trip up Mendel mountain on an electric cable car - the steepest and longest in Europe. For more grounded attractions, there are hiking trails through the vineyards and boats are available for hire at the lake. Champagne is the bubbly wine variety associated with auspicious occasions like launching ships, anointing royalty and celebrating sporting victories. Fittingly, it comes from a region favoured by fortune in natural beauty and cultural heritage. The 70km Montagne de Reims route between Reims and Epernay is prime Champagne country. The rolling vine-filled landscape is a picture-perfect rustic setting. Familiar names like Moet & Chadon have their roots in this area and offer guided tours of their facilities. Their tours have become very popular so be sure to make advance bookings. If you prefer a more subterranean experience Taittinger's St. Nicaise cave cellars are worth a visit. 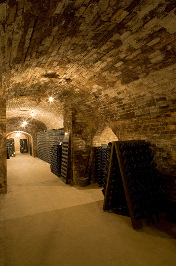 The caves beneath the streets of Reim are stacked with their finest champagne - the Blanc le Blancs cuvee. The tour includes a tasting: expect great champagne. Side Note: Contrary to popular belief Dom Perignon did not invent champagne. An Englishman Christopher Merret is credited as the more likely inventor of champagne. Bordeaux is such a large wine-making region that it's best to just focus on one part. The town of St. Emillion has a micro-wine route of its extensive wine areas. An inexpensive way to see St. Emillion's wine route is the Le Train des Grand Vignobles ('The Train of Grand Wines'). For â¬6, the half hour train ride takes you through the wineries surrounding the village. The train also offers a more in-depth Epicurean day trip, which includes the winery tour and a meal at a chateau inn. For a more hands-on experience, how about making your own wine blend? B-winemaker in partnership with surrounding wineries lets you play winemaker: you get to sample the finest Bordeaux wines before blending and labelling your own wine. Nicknamed the 'Champs Ãlysees of Burgundy' this route can be traversed in a range of vehicles: in the air by balloon, helicopter or microlight - or even in stately fashion by horse and carriage. A rare highlight of the route is the wall enclosed vineyard of Clos Vougeot. The Cistercian (a Catholic order of monks) Abbey has been making wine since the 12th century. The robust reds of Chateaux de Clos de Vougeot have a sweet aroma and go well with grilled red meat. The chateau also serves as the headquarters of Confrerie des Chevaliers du Tastevin - an exclusive society of Burgundy wine enthusiasts. Their symbol the 'tastevin' is an old pocket-sized tasting cup. Never heard of it? 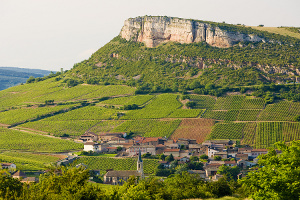 Jura is the smallest wine producing region in France. Overlooked and underrated, it will appeal to those who feel as if they've tasted and seen all that France has to offer, which is admittedly quite difficult. The local variety is 'vin jaune' or yellow wine, a sherry-like white wine made exclusively in Jura. Over-ripe grapes and a six year maturation period produce a wine for the really special occasions. The wine is best kept for at least ten years. The best place to sample and buy vin jaune is Chateau Chalon, the birthplace of the wine. Make an investment and buy a rare 1929 vintage bottle of vin jaune for a tidy sum of money.